Before, during and after stress there are transition periods. Things may seem normal and smooth sailing, but we all know that gradual or sudden changes are going to occur that will challenge an animal’s health and/or performance. And, after the challenge there is a period of recovery that we need to manage. Stress management can be summed up as two P’s and an R: Prediction, Prevention, and Recovery. If you know stress is coming, your management system should try to reduce or eliminate its effects ahead of time. An example of predicting a stress is knowing that you are going to transport, wean or work animals. If we know when animals will be moved, we can prepare not only the animals but also our equipment. Equipment should have a maintenance schedule. Changing oil, checking tires and filling with fuel are all items we should check off our “to do” list. And, we should have a “to do” list for our animals as well. Making sure they are well rested, well fed, comfortable and protected from injury will reduce stress. Feeding programs that take advantage of feeding Amaferm® daily will help animals combat stress, whether it is predicted or unexpected. Animals that have been supplied a balanced diet have the building blocks available to grow, mount an immune response and have the best chances of meeting any stress challenge that can come their way. 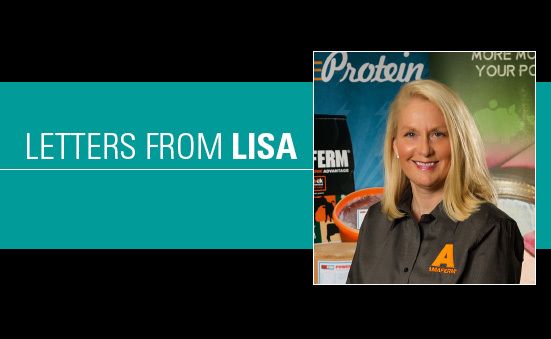 Amaferm has several key impacts on animal nutrition. First, it influences INTAKE. Healthy, stress-free animals eat and drink normal amounts at regular intervals. One of the first signs an animal is experiencing stress is they go “off feed” and change their eating patterns and reduce their intakes. Amaferm has been shown to modulate feed intake and increase water intake which will stabilize and increase the efficiency of the GI tract. Amaferm will also improve DIGESTIBILITY. When diets are being efficiently broken down into nutrients, the health of the animal shines through with outward signs of thrift and well-being. Animals properly digesting their food have shiny hair coats, bright eyes, show signs of happiness and display vigor. Finally, Amaferm assists with nutrient ABSORPTION. Nutrients are only effective when they are absorbed and transported throughout the body. These three items: intake, digestibility and absorption make Amaferm one of the most beneficial components of an animals diet. All BioZyme products contain Amaferm and aid in stress prevention when used as part of daily feeding program. The Sure Champ® line of products is ideal for helping exhibitors develop a stress preventive program through proper nutrition. Climate Control® is one of BioZyme®’s newest commitments to aid in heat stress prevention. VitaFerm® Concept•Aid® and HEAT® minerals help cow-calf operations prevent and prepare their herds to reach performance goals and take optimum advantage of their feed resources. The Gain Smart® mineral line is ideal for growing and keeping young cattle healthy. Recovery management after a stress event is also a very important part of animal care giving. Stimulating the gut’s microflora make animals stronger, healthier, and ready to perform at their best. That is the number one reason why implementing recovery programs as quickly as possible are vital to the animal. BioZyme has developed a full line of Vita Charge® products specifically for stress recovery. Using Vita Charge products as quickly as possible after the stress will shorten the time it takes for the animals to get back to normal. Our newest product in this line, Vita Charge® Neonatal, designed for young calves, is being used by operations to grow stronger, healthier animals. The mission of BioZyme focuses on making animals perform at their best. Using Amaferm is one of the easiest and most cost-effective management decisions producers can invest in to help their animals recover from stress. 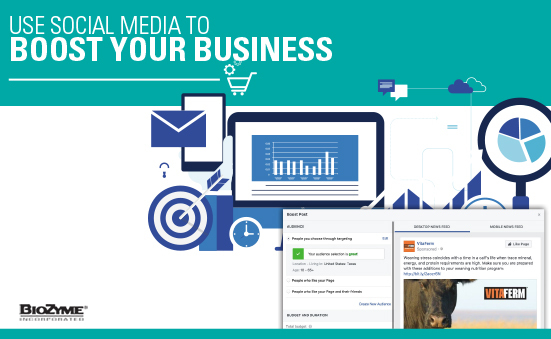 You’ve built your company’s Facebook page, and hopefully you found the tips in last month’s VISION useful as you begin or enhance your social media presence. But did you know for pennies a day, you can boost the amount of exposure your company gets on Facebook? LOCATION: You can add the specific town or zip code you want to target, drop a pin or add multiple towns, say if you were hosting producer meetings in multiple locations. Once you have a location added, you can add a radius between 10-50 miles around the town or area you want to target. AGE & GENDER: You can target only men, only women or both. You can target ranges of age groups between 13 to 65+ years old. Even though you can target 13-year-olds remember, Facebook does not allow you to target sales to anyone under 18-years-old. However, if you were hosting a youth livestock clinic, you might want to target 13-21, since that would be the group most likely to participate. TARGET GROUP: Search by keyword to find a very specific target audience. Are you trying to promote Vitalize® to horse enthusiasts in your area? Type ‘horse’ in the keyword search, and the following will appear: horse, horse training, horse breeding and horse riding. You can click and select the groups that fit your needs, and anyone who has shown interest in those groups, who match the age, gender and location target you have selected will see your post. They don’t have to be your current customers or even like your page. COST: Remember you set your budget, and you determine how much you want to spend. You can spend $10 for a post to show up for a month or you can spend $10 for the same post to only appear for a day. “The more money you put toward your post, the more opportunity you have in reaching a larger percentage of the selected audience,” said Caitlin Tye, Content and Social Media. 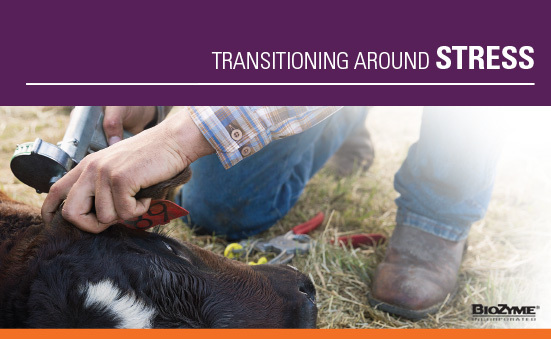 If you are a dealer, and there is a cattle show coming to your town, you might create a post to promote you have Sure Champ® and Sure Champ Climate Control on hand. When you type ‘cattle’ in the keyword search, the following appear: Angus, Hereford, National Cattlemen’s Beef Association, cattle rancher, Cattlemen’s Steakhouse. You would select all of those except Cattlemen’s Steakhouse, because you would more than likely get someone who is a beef eater, and not a show participant seeing your post, which does not encourage engagement. Boosting a post is an efficient, inexpensive way to reach a large group of potential customers who have a core group of interests. 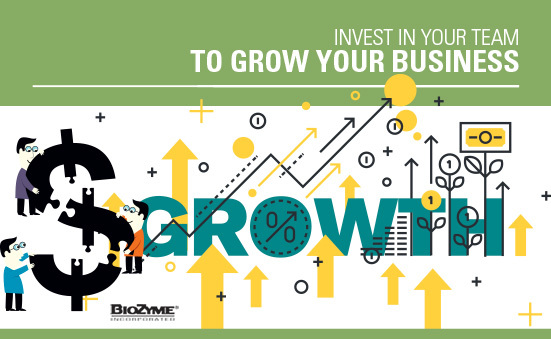 If you have more questions about how to create a targeted post, contact Kristi Stevens, Marketing Project Manager, at (816) 596-8795 or email her at kstevens@biozymeinc.com. Companies of all types and sizes typically want to grow in one way or another—whether it’s in terms of revenues, profits, number of employees or customers, market share or number of locations. And while not every business owner has aspirations to build the next Google, almost every business wants to see progress from one year to the next, even if it’s just in the amount of money one can take home to the family. Research shows that trying to grow when the business is not ready is a leading cause of business failure. 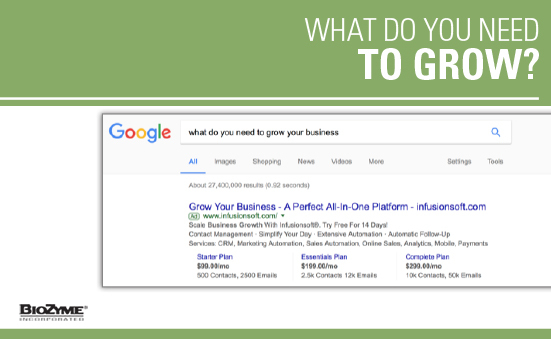 So, knowing if you and your business are ready to grow is very important to its success. The first google item that pops up for this topic makes it look so easy. Just buy an “all-in-one platform” and it will scale business growth. We all know this is not the way sustainable growth works and that we need to spend some major time setting the stage for growth for it to occur successfully. The below questions can help get the plan moving forward. What is your long-term goal and how does that impact your growth decision? No goal, no glory. While we can’t predict the future, we can certainly plan for it. Are you prepared financially? In our personal life, they say you should have six months of expenses saved “in case.” Growth is an “in case,” so that same basic rule applies to business. On top of this amount, one needs to add the estimated additional expenses from the growth plan. Don’t implement the plan without the cash. Do you have the space and capacity to grow from a facility standpoint or will you need to expand? You must know the full capacity of your current operation before you begin this growth endeavor. You then must know what percent of that capacity you are currently operating. This is imperative to the decisions ahead. How will you fund the potential expansion? Growth financing is every bit as hard–if not harder–to obtain than startup funding. Do regular cash-flow projections so that you know how much credit you’re going to need well before you have to start writing checks. Develop and maintain strong relationships with your funding sources and be sure to have primary and backup sources available. In today’s financial climate, it’s harder than ever to predict credit availability, so stay on top of your cash and financial needs to give yourself plenty of room to maneuver when it’s time to borrow. How much human capital will be required to meet your growth goals? Where will you find it and how will you pay for it? The team that can successfully run a $1 million company is not the same team that can run a $50 million company. If your goal is growth, hire people who can perform in the size company you want to be–they’ll help you get there. Will your existing customers remain loyal during the growth pains? No company can do without customers, and if you don’t stay close to them, you’ll lose them. Know what they need, but more importantly, know what they want and do everything you can to give that to them. Most important though is to communicate. Never let your customers wonder what’s going on. Tell them–whether it’s good or bad. Will the work required to grow bring unavoidable stress into your life that could potentially deter your ability to successfully operate your business with your best foot forward? Be honest here and make sure you really think it through. The better prepared you are for growth, the better your chances for success. Devise a plan that helps you get to where you want to go. Make sure you think of your plan as a GPS system. Don’t think once you are on the route that you know better than the GPS. And remember, the more specific your plan, the less chance you have to get lost. Last but not least, don’t forget to focus on your core business and don’t get distracted. Stick to the business your company knows best. Be sure any diversification or product line expansion you do makes sense. If it has nothing to do with your core business don’t get into it just because it seems like a good opportunity. Otherwise, you’ll you confuse your customers and your employees–and you’ll likely find that dividing your efforts reduces the quality and profitability of everything. Just as you plan for when things go wrong, also plan for when things go well. When you’re prepared for growth, you can better manage the changes it brings and let it take you to the goal you set when you started. Posted on October 18, 2017 Categories 3 Keys to Better Business, Business Resources, Business Topics, Growth, Know Your CheckbookLeave a comment on What Do You Need to Grow? Growing your customer base can seem exhausting. But without customers, our business model and our businesses are pointless. Former Goldman Sachs CEO John Whitehead offers his top tips in growing a customer base quickly in a recent article on Inc.com. Don’t waste your time going after business you don’t really want. Is there a producer who has tried every supplement brand around only to feed one or two bags and find something he or she is dissatisfied with? Are you the next target on the list? Perhaps your time is better spent talking to other potential customers who you know would benefit from your products and services than investing much time into the person in the “mineral of the month” club who won’t likely be a long-term customer. The boss usually makes the final decision. When calling on a potential customer make sure you are focusing your efforts on the right person. 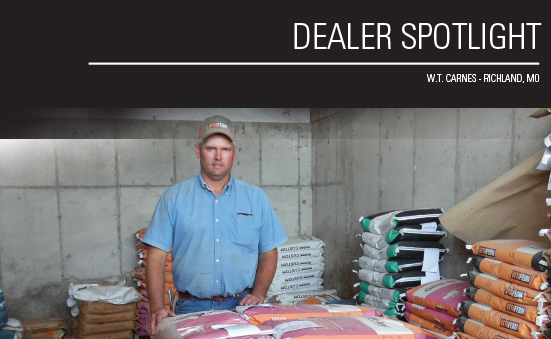 Maybe your buddy is the cowboy at a large feedlot, but chances are he isn’t going to be making major decisions about animal nutrition or health. However, he might be able to introduce you to the manager, who does make the decisions, and he can still serve as a resource and save you some time. You never learn anything when you’re talking. Ask questions of your customers, and listen carefully. If you are talking more than 50 percent of the time, you are talking too much. Listen to what goals are for their operations or what challenges they are experiencing. Then offer products that can help them meet their goals or overcome their challenges. The respect of one person is worth more than an acquaintance with 100 people. 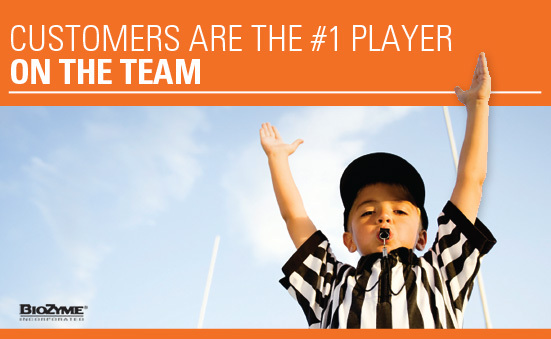 Treat each customer like he or she is your number one priority. Know what is important to them. Is it their family, the local football team or even their old ranch dog? Treat customers with respect, and you will earn their trust and respect in return. And they will likely tell their neighbors about that great BioZyme rep they do business with. When there’s business to be found, go out and get it! As mentioned in last month’s VISION, there is potential everywhere! Talking to existing customers about other product lines they could use is a great idea. Does that cow-calf producer have horses or a dog? Be sure to sell them the Vitalize® line of products. Or does your existing customer have a friend or neighbor that raises another species that you can help them with? 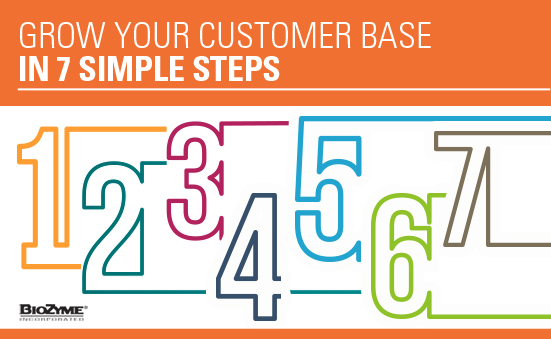 Ask existing customers for names of potential customers and watch your customer list grow. There’s nothing worse than an unhappy client. Did you have a customer that was upset with his or her results. 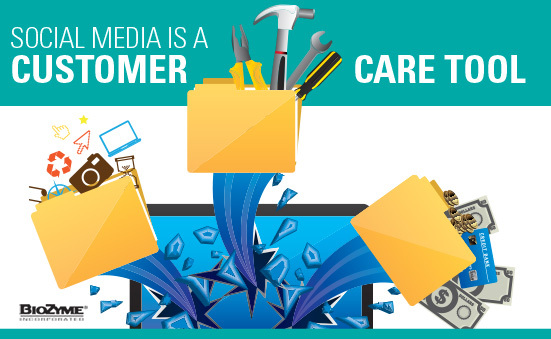 Customer satisfaction is key to keeping customers and growing your customer base. Make sure you solve any issues that arise with unhappy customers as soon as you can. That way when they are gathered around the local coffee shop, you become a hero, not another no-good sales person. If you get the business, it’s up to you to see that it’s well-handled. Follow-up is imperative, especially with new customers. Call them a few weeks into using the products to see how things are going. Do they have questions you can answer? Do they need more product? Happy customers will be repeat customers. 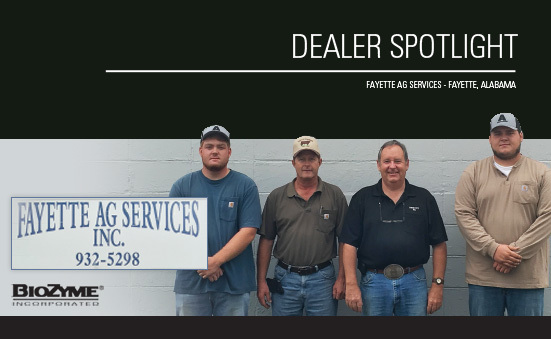 Growing your customer base is key to growing your business. Potential customers are everywhere. Make it your goal to grow your customer list each month.